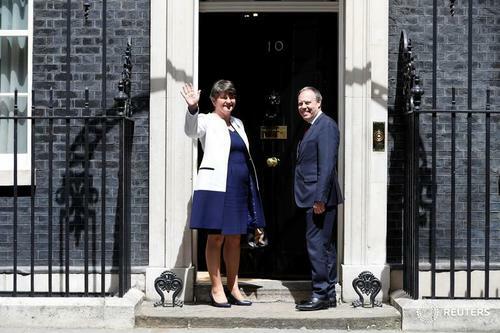 Reuters UKTalks between Northern Ireland's Democratic Unionist Party (DUP) and the Conservative Party of British Prime Minister Theresa May have been positive and are continuing, DUP Leader Arlene Foster said on Monday. 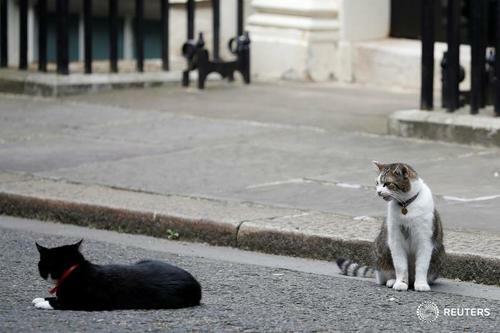 Reuters UKGiving a "stonking" performance, Theresa May won a stay of execution from her Conservative Party on Monday, winning support from disillusioned lawmakers after losing a parliamentary majority at last week's national election. 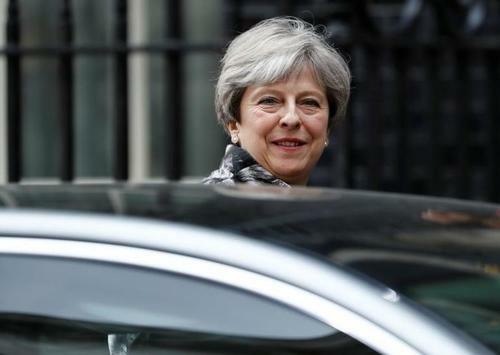 Reuters UKTheresa May told her party on Monday she would serve as prime minister as long as they wanted after a botched election gamble cost the party its majority in parliament and weakened London's hand days before formal Brexit negotiations. Reuters UKBritain and France will join forces to press companies to do more to tackle online extremism, Prime Minister Theresa May will say on Tuesday, her first foreign trip since her Conservative Party lost its majority in a parliamentary election. 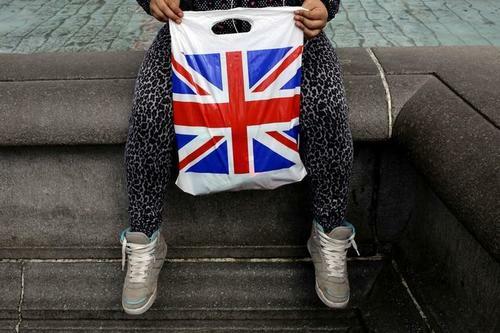 Reuters UKThe chances of Britain ending up outside the single market when Brexit talks are concluded have receded somewhat after last week's election, although the pound might weaken further against other currencies, a Reuters poll of economists found. 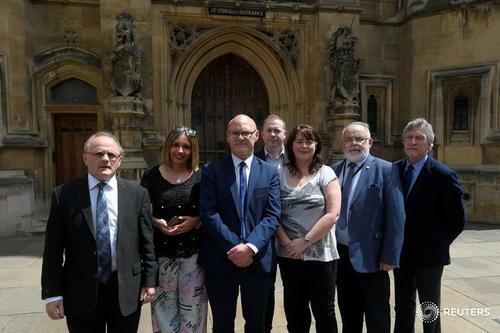 Reuters UKBritish Prime Minister Theresa May meets the leader of a small Northern Irish Protestant party on Tuesday in an attempt to save her premiership and avoid a second election that would thrust Brexit negotiations into turmoil. 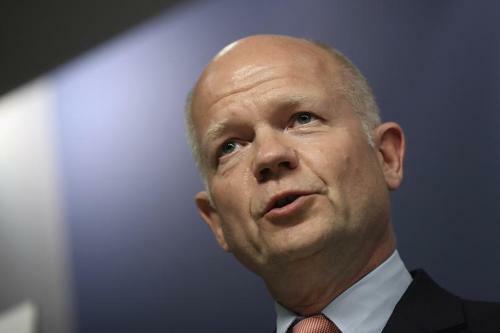 Reuters UKBritish Prime Minister Theresa May needs to start cooperating with businesses and other parties on Brexit if her government is to survive, former Conservative Party leader William Hague said. 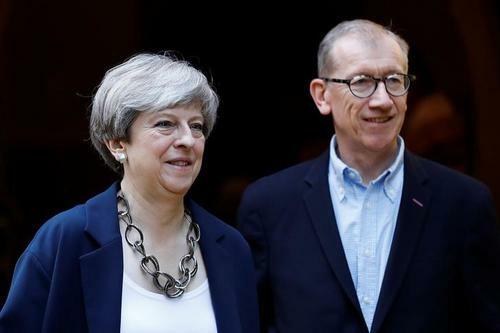 Reuters UKBritish Prime Minister Theresa May has accepted that voters' patience with austerity is at an end, the Times of London newspaper reported on Tuesday, citing unidentified sources. "We await... the position of the United Kingdom," Guy Verhofstadt, the former Belgian premier who is the European Parliament's point person for the Brexit process, told a news conference on Tuesday. 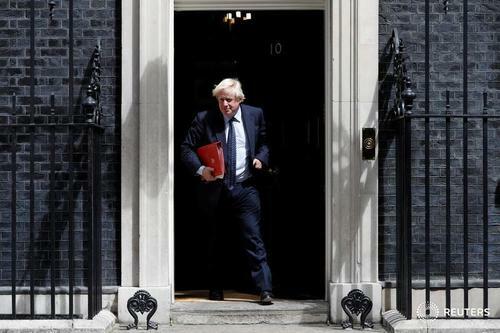 "It's unclear if the UK government will stick to the line that they had announced in the letter of the 29th of March or if they will change it,... taking into account the outcome of the election." Reuters UKUK banks should hurry up in applying for a licence in the European Union to ensure they can still do business in the bloc even after Britain leaves, a top European Central Bank supervisor said on Tuesday. 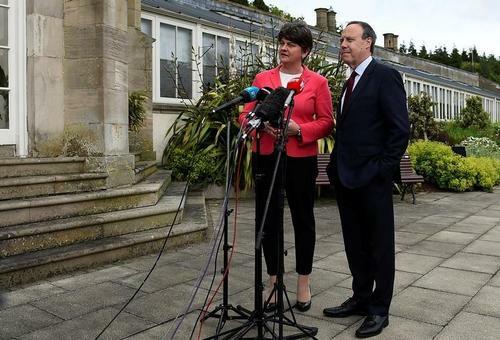 Senior UK Conservative source says talks with Norther Irish DUP party to continue on Tuesday, are going well. Theresa May addresses parliament saying - As we face challenges, let us come together in a spirit of National Unity. 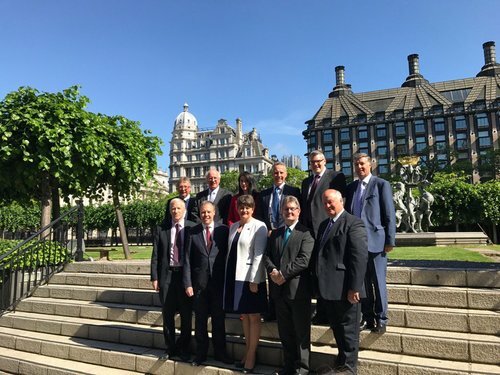 Northern Ireland's DUP deputy leader Dodds says - we will work for the restoration of devolved authority as soon as possible. 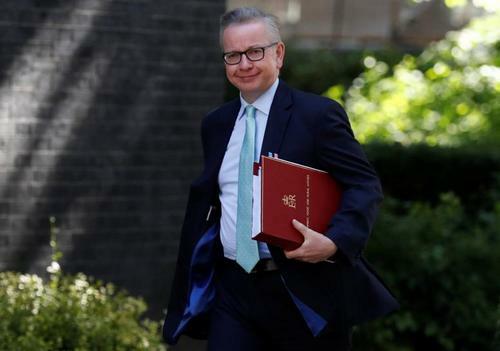 Reuters UKSenior British minister and prominent Brexit campaigner Michael Gove said on Tuesday that Britain will leave the EU customs union, which guarantees tariff-free trade within the bloc but prohibits members from striking third-party trade deals. Reuters UKHe is the man of the moment after winning the French presidency with ease, while she is in the spotlight for all the wrong reasons after gambling away a majority in the British parliament. 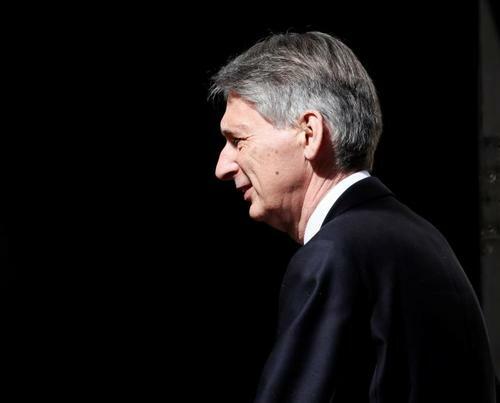 Reuters UKChancellor Philip Hammond will argue for Britain to stay in the European Union's customs union, in a bid to soften Brexit and alter Prime Minister's Theresa May approach, The Times reported on Tuesday citing several unidentified sources. 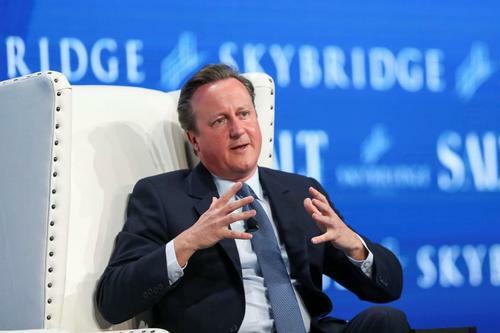 Reuters UKPrime Minister Theresa May should consult with the opposition Labour Party and others on her Brexit strategy, David Cameron, May's predecessor, said on Tuesday, according to the Financial Times.